Happy Easter! I just love this time of the year. Chocolate Easter eggs hit the supermarket shelves early and for weeks leading up to Easter, I end up replacing all the Easter eggs that I’ve bought for my kids. Surely I’m not the only one who eats their kids Easter eggs? I really should just buy some back-up Easter eggs or maybe stop eating them all together. Now, here it is! The new updated Easter Grazing Platter that I put together for under $30. 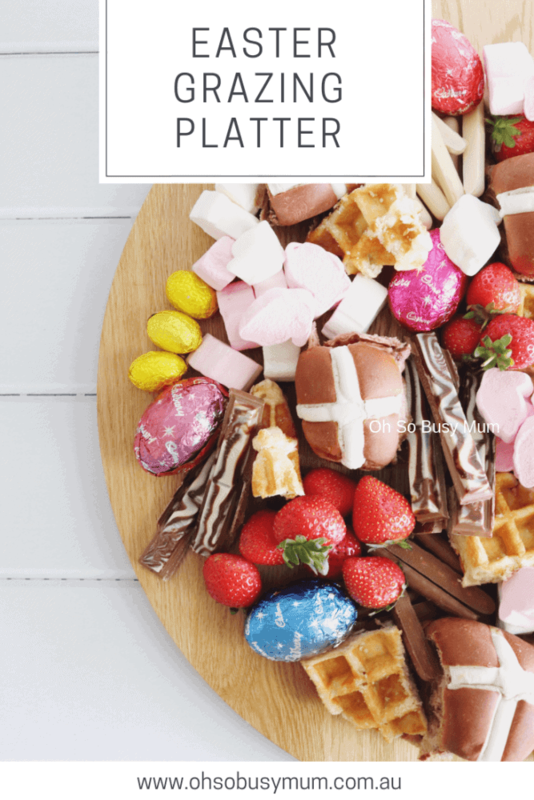 Last year I created the Ultimate Easter Grazing Platter and it went viral, so this year I thought I would create a budget-friendly platter within a $30 budget. You can create your own platter for under $30 using all the products listed below. You could do it even cheaper if you grab items that are on sale at Woolworths! Lay all the items out on a platter and serve for Easter breakfast, lunch or dinner! 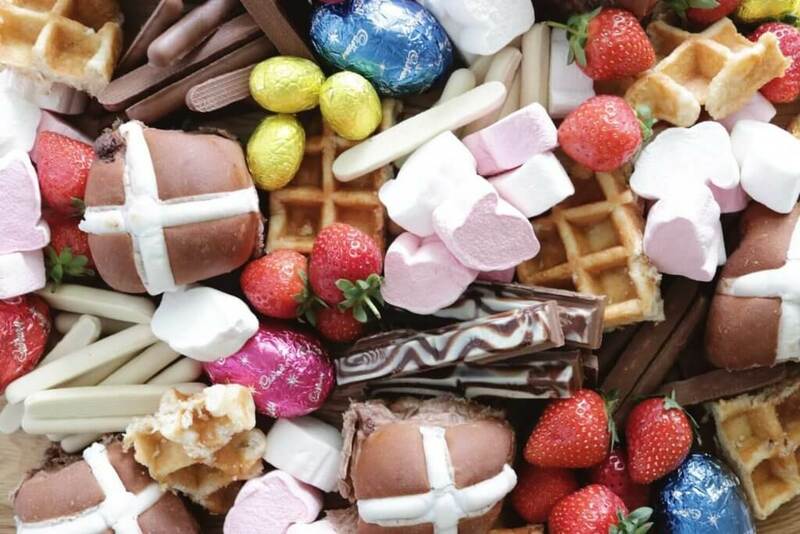 You can easily mix this up and add anything you like for a budget-friendly Easter platter – or add some more fruit for a healthier alternative. 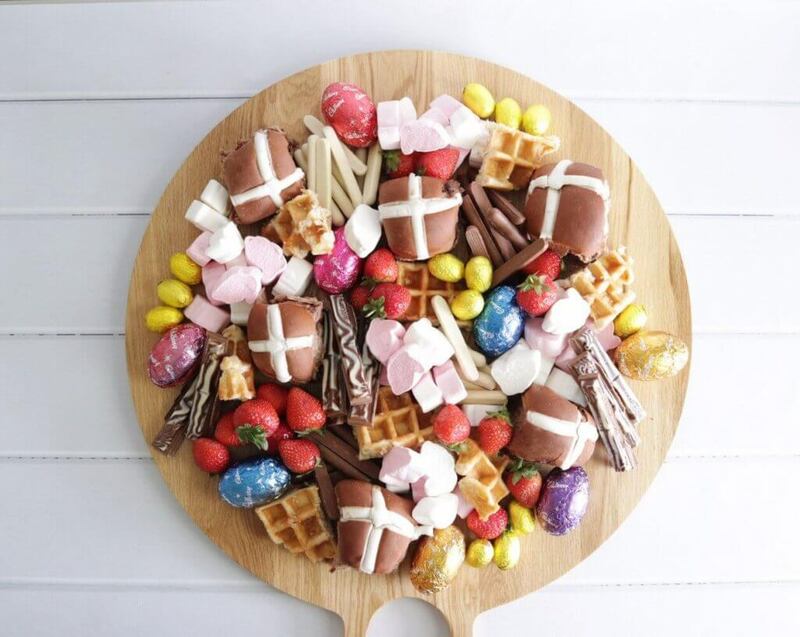 If you create an Easter platter this year, make sure to tag me at @ohsobusymum and @woolworths and I’ll share the platters with my followers! I look forward to seeing all of those tasty creations again this year!